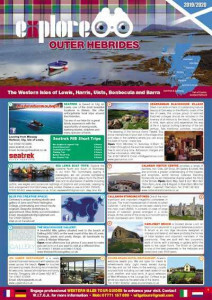 The Isle of Harris and Isle of Lewis are at the North west corner of the group of Islands known as the Outer Hebrides, or Western Isles. 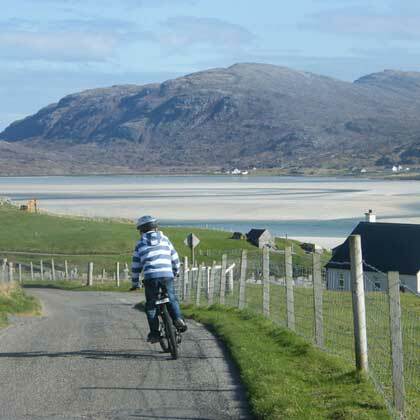 The Hebrides are known as the "long island" as they stretch for 100 miles. The Isle of Harris is actually joined to the Isle of Lewis, and has a short border, shown by a ‘dashed’ line on the Harris map. 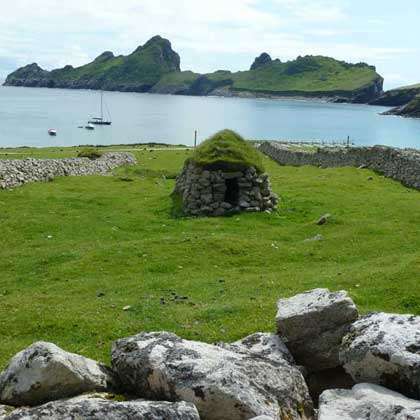 Harris has a wide range of landscapes, all of which have their own charm and interest. On the west coast lie some of the most spectacular beaches of Britain (marked on the map) with large open machair areas. In the north, the terrain is rugged, mountainous and has a Lunar feel to it. The east coast is more isolated and has some of the oldest rocks in the world, being dated at some three thousand million years old. The exposed rocks are a result of scouring by the glaciers in the Ice Ages. The area is known as ‘The Bays’ because of the many small, quiet inlets. These inlets are populated by small villages, each with their own unique character. 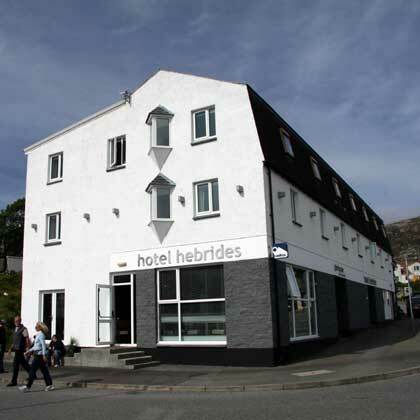 In general, the attraction of Harris is its peace and tranquillity, the magnificent scenery and beaches, but finally the warmth and quiet confidence of its people.